This image is a composite of five separate images taken in period of one hour. The best observing conditions were just after the sunset. Therefore I started the first exposure still on twilight. It caused the red color in the bottom part of this image. During the first exposure (18:54 - 19:01 UT) a very bright meteor was recorded in the top left part of the image. 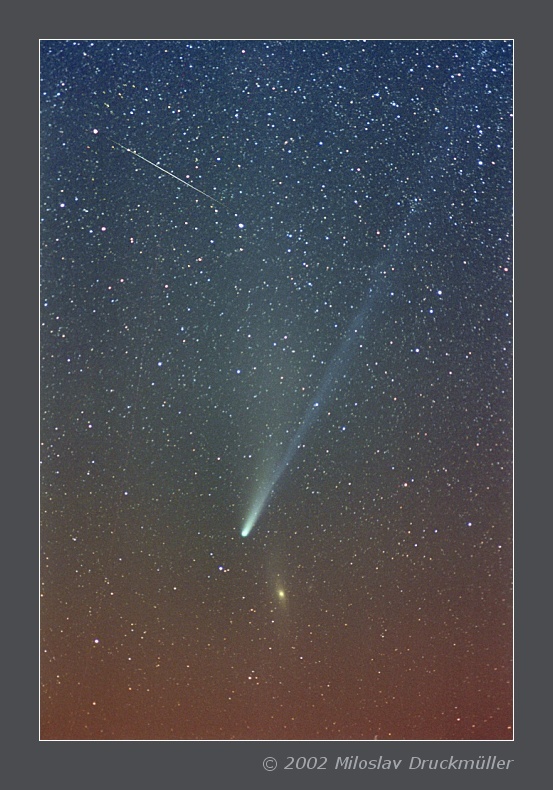 The prominent object below the comet's head is the well known M31 galaxy. Click on the following reference to display the same image in the maximum quality (639 KB, PNG format).